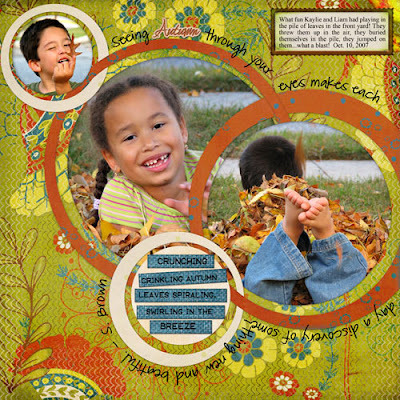 Here is my layout using the Bountiful Blessings kit from CottageArts. Isn't that a beautiful background paper? Aren't those colors luscious? It was perfect for my photos, too.